Here you'll be challenged—and in all the best ways. The Seminary is committed to theological and social diversity. In the classroom you'll sit with others who look, think, and believe different than you. And that's okay! It's great actually. Explore the list of degree and certificate programs below and find a program that's right for you. When you're ready, contact the Admissions Office and we'll assist you in exploring your call in God's world. The master of divinity (M.Div.) degree is a professional program that prepares men and women for ordained ministry and general pastoral and religious leadership in congregations and other settings. Coursework offers deep integration between classical theological disciplines and the missional nature of ministry. The program provides venues and tools for vocational discernment and for formation in the Christian tradition. When followed on a full time basis, students normally complete the program in three years. In supervised field education experiences students practice ministry through direct involvement in congregations and other settings. Learn more about the M.Div. degree. In addition to enrolling in the Seminary’s degree programs, students have the option to cross-register with several institutions in the Pittsburgh area, including Carnegie Mellon University, Duquesne University, the University of Pittsburgh, and others, thereby expanding their educational opportunities at a great value. The evening program at PTS provides the flexibility to allow you to start your seminary education while continuing your full-time job, family, church, and social activities. All master's degrees can be obtained through the evening program. Learn more about the evening program. For those with an M.Div. degree and at least three years of ministry experience, the Doctor of Ministry degree allows students to explore a question or challenge in their context. We offer a number of focus areas including Eastern Christian, Missional Leadership, Parish, Reformed, Reformed Christian Spirituality, Science and Theology, and Urban Change. The D.Min. degree is a professional doctoral degree providing space for renewal, growth, companionship among peers, and rich dialogue with faculty. Learn more about the D.Min. program. The Graduate Certificate in Church Planting and Revitalization forms pioneer leaders attentive to God and God’s world. Participants will learn to listen to the Holy Spirit and their communities, will practice leading teams in discerning God’s activity, and will engage regular rhythms of spiritual practice to renew their own souls and enable deeper discernment in their own life and calling. Accompanied by a cohort learning community and mentored by experienced missional leaders, students in the Graduate Certificate in Church Planting and Revitalization program learn from both academics and practitioners. Our hybrid online and intensive classes allow leaders to set apart time to grow in missional and intellectual formation while staying rooted in their context. Learn more about the Graduate Certificate in Church Planting and Revitalization. Students enrolled in the Graduate Certificate in Ministry receive a foundational understanding of ministry equipping them for broad service to the church. Required courses include theology or history; Bible; and two Preaching and Communications, Introduction to Caring Ministry, or other Ministry Studies courses. The certificate is ideal for persons serving churches as Sunday School teachers, deacons, and elders, plus women and men who want to expand their knowledge of Scripture. When taking two courses per semester, the program can be completed in one year. Learn more about the Graduate Certificate in Ministry. To prepare students for leadership in congregations or other agencies, the Seminary offers the Graduate Certificate in Missional Leadership. Women and men study church history or theology, the Bible, contextual analysis, and missional leadership. The certificate is ideal for persons serving churches and non-profit organizations involved in mission work. Students receive broad preparation in evangelism and are therefore equipped for international missions. When taking two courses per semester, the program can be completed in one year. Learn more about the Graduate Certificate in Missional Leadership. The Graduate Certificate in Theological Studies provides students with a general introduction to theological inquiry. Students take four required courses—church history, theology, Bible, and an elective. This certificate is a great foray into deepening one’s understanding of biblical, theological, and historical concepts relevant to the church. The certificate is ideal for persons who want to expand their knowledge of Scripture. When taking two courses per semester, the program can be completed in one year. Learn more about the Graduate Certificate in Theological Studies. 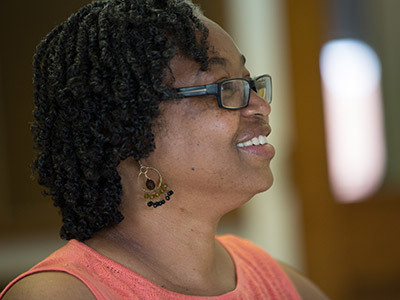 The Graduate Certificate in Urban Ministry is a flexible year-long program allowing community members and seminarians to explore their Christian vocation in urban settings. This program allows students from all denominations to think about how to apply their faith to where they work, live, and play. This program is offered through the Seminary's Metro-Urban Institute and can be completed as a stand-alone certificate program or combined with any of the master's degrees. Learn more about the Graduate Certificate in Urban Ministry. One of the most significant programs the Office of Continuing Education offers is the Spiritual Formation Certificate Program. Started nearly 25 years ago, this cooperative program offers lay persons and pastors the opportunity to enter more deeply into the life of the Spirit. Completion of this challenging program involves participation in an Immersion Experience, six elective courses, a practicum, and a pilgrimage. Learn more about the Spiritual Formation Certificate Program.